ZAMBOANGA CITY, April 12 (PNA) - Two notorious sub-leaders of the Abu Sayyaf Group (ASG) and nine of their followers have surrendered to the military in Tawi-Tawi, officials said. In statement released on Wednesday, Capt. Jo-ann Petinglay, spokesperson of the Western Mindanao Command (Westmincom), said the bandits yielded voluntarily to the troops of Joint Task Force Tawi-Tawi at the Marine Barracks Domingo Deluana in Barangay Sanga-Sanga, Bongao town at around 6 p.m. Tuesday. 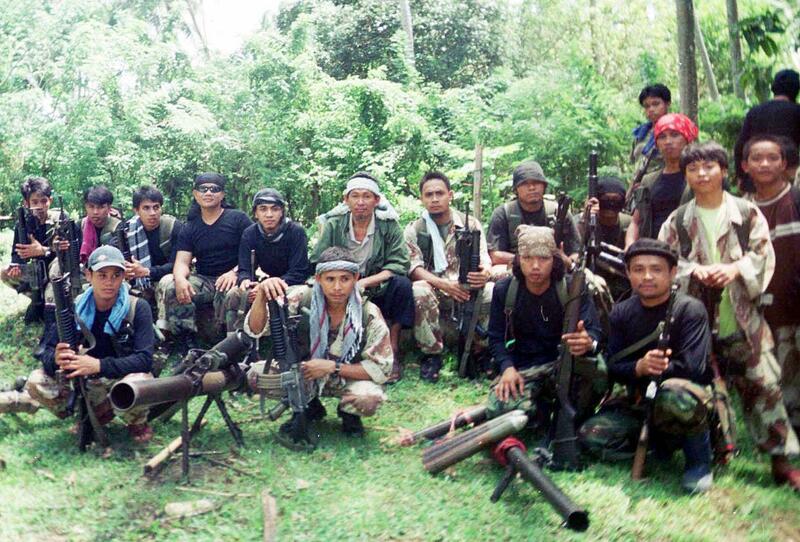 The Westmincom credited the surrender of the bandits to the ongoing military operation in Tawi-Tawi. The military continues to put pressure on the Abu Sayyaf as Armed Forces Chief of Staff General Eduardo Año left a marching order to suppress the ASG within the time frame provided by the Commander-in-Chief, President Rodrigo R. Duterte, which is on June 30. The Westmincom identified the Abu Sayyaf sub-leaders who surrendered as Berong Sariol alias Boy Master and Ben Saudi Dambong Sariol alias Boy Pangit. Petinglay said the siblings Berong and Ben acted as the leaders of separate Abu Sayyaf groups active in kidnap-for-ransom activities in Tawi-Tawi and in neighboring Malaysia. The other nine ASG members who surrendered are also relatives of the siblings. They are Jasim Dambong alias Dams, Mujil Dambong, Magelan Langal, Kael Sariol, Nurhamin Sariol, Alhan Sariol, Amnisain Sariol, Akmad Sariol and Benasil Sariol. The Westmincom said those who surrendered are all residents of Sitio Gigipan, Barangay Baldatal, Sapa-Sapa in Tawi-Tawi. Seven firearms consisting of an M-16 Armalite rifle with attached M-203 grenade launcher, one M-14 rifle, one M-79 rifle, and four caliber .30 M1 Garand rifle were turned over to the military. “The surrendered Abu Sayyaf members will be turned over to the Tawi-Tawi police for the proper legal procedures,” Petinglay said. According to the military, the Sariol group was tagged in the murder of Father Jesus Reynaldo A. Roda of the Oblates of Mary Immaculate (OMI) in Tawi-Tawi in 2008 as well as in other kidnapping activities in the province. The military also linked the Sariol group to the “Muktadil brothers,” who are notorious in kidnap-for-ransom and extortion activities. The siblings Nikson and Brown Mukdatil were killed by soldiers when they tried to escape after their capture in Sulu last year. "Your armed forces remain committed in sustaining the internal security in Mindanao with the all-out offensives being launched by the joint task forces of the Western Mindanao Command,” Lt. Gen. Carlito Galvez Jr., Westmincom chief, said.